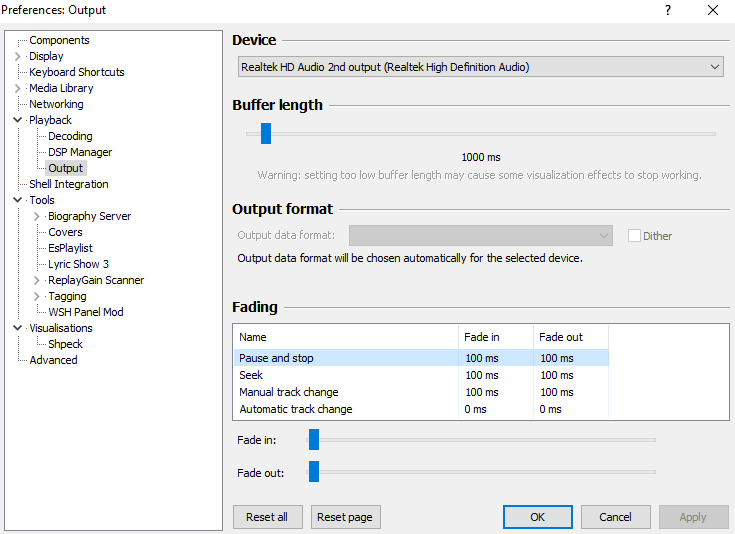 Message I get is "Unrecoverable playback error: Audio data format not supported by this device (0x88780064)"
So a couple days ago, all I did was go to "manage audio devices", right click the interface and change it it to "8 channel, 16bit 48hz". Then everything seemed to go complete haywire with file playback. I can get audio from any other source fine, my DAWs, my browsers, haven't tested any games though. But it doesn't even seem isolated to foobar2000, I try opening music files in VLC and potplayer, they just crash. Itunes doesn't play. Only Windows 10's Groove Music seemed to work. I spent days uninstalling & reinstalling all kinds of drivers, including foobar, and restoring my 18i20 to default settings but nothing is bringing my pc audio back to how it was. Before, all my audio from any source was working flawless, going into my 18i20 and out my studio monitors. I'm wondering what the hell went wrong and how I can get my PC back to normal.